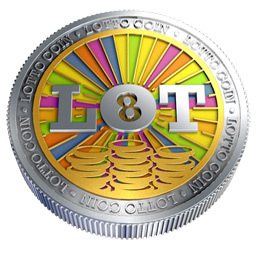 LottoCoin (LOT) is a p2p crypto coin based on scrypt PoW, descendant of Litecoin which uses random block features. Initially it creates random coins between 256 and 65536 (256*256) coins per block. It also generates random superblocks where miners can win big! The Daily Super Lotto is 1,048,576 coins for the winning block. There’s also a Semi Daily Lotto for 262,144 coins and an Hourly Lotto for 131,072 coins. Even at higher difficulties there’s always a chance to hit the jackpot. LottoCoin also makes a great crypto coin for playing online games. The payout will be halved every 3 months. The minimum payout per block will be 1 coin.